The Rotary Cruiser can be legally ridden on public roads and bike paths without the need for a license or registration.Cruising speed is 30km/hr with a range of up to 200km per tank.Bike features Pullstart electronic ignition,shimano gears,front suspension,sprung seat,mudguards and front and rear lighting. 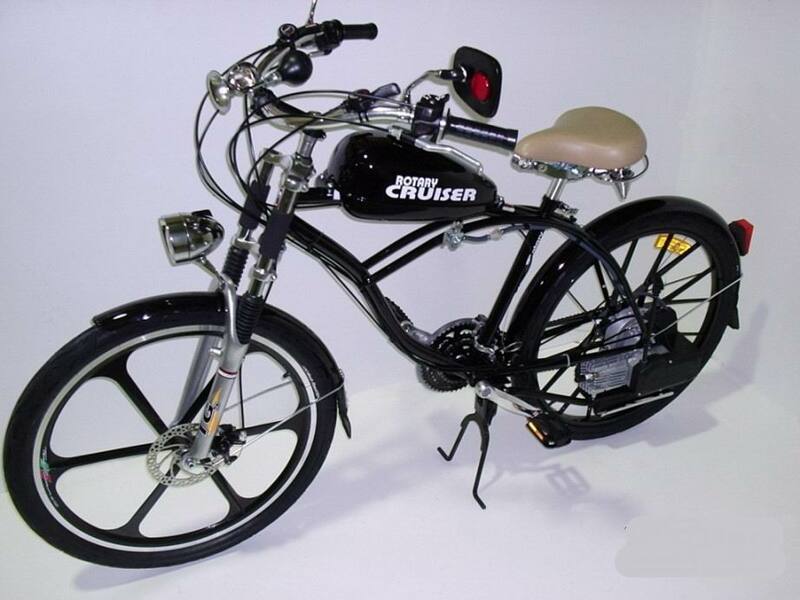 Great fun to ride,low maintenance and great for light exercise or commuting. Home based business.Please call to arrange visit.